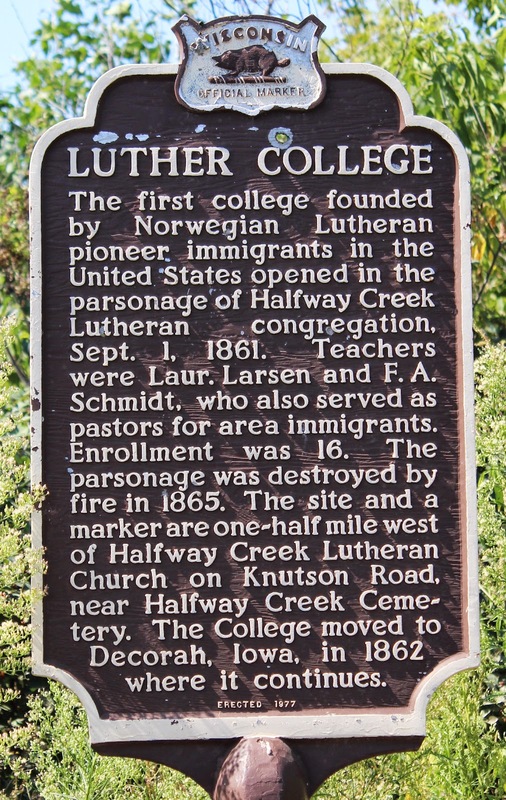 The first college founded by Norwegian Lutheran pioneer immigrants in the United States opened in the parsonage of Halfway Creek Lutheran congregation, Sept. 1, 1861. Teachers were Laur. Larsen and F.A. Schmidt, who also served as pastors for area immigrants. Enrollment was 16. The parsonage was destroyed by fire in 1865. 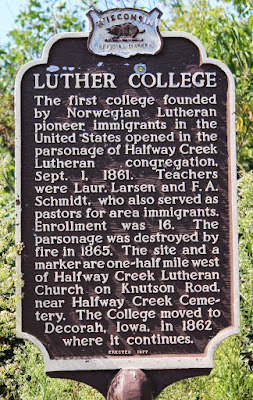 The site and a marker are one-half mile west of Halfway Creek Lutheran Church on Knutson Road, near Halfway Creek Cemetery. 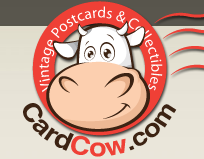 The College moved to Decorah, Iowa, in 1862 where it continues. 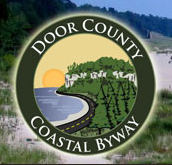 The marker is located in the middle of corn fields at a highway pull-off on westbound County Highway D, near its intersection with Knudsen Road, Holmen, Wisconsin 54636. It was a little tricky to see this marker at first . . . Nearby farm . . .